Wabaseemoong Independent Nation - ~1700 members 120 km NW of Kenora. By working on a number of projects. 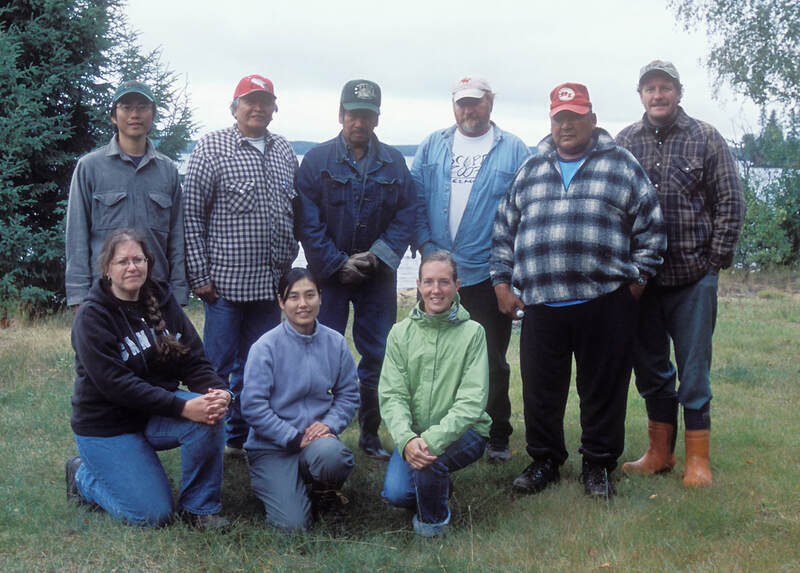 First Nations with traditional territories in the park, Woodland Caribou Provincial Park Staff, other government representatives, and researchers have developed very effective partnerships. Working beyond preconceptions, they adapted government planning processes to work in an entirely different way. Many accomplishments have been made by the collaborative efforts of the Indigenous community, Park Staff, Archaeologists, etc... .
One notable example is the recognition of the Bloodvein River as a Canadian Heritage River. This couldn't have been made possible without the collaborative efforts of the Lac Seul, Little Grand Rapids, and Pikangikum First Nations, Doug Gilmore of WCPP, and Jill Taylor-Hollings (University of Alberta) in conducting archaeological surveys along the River. 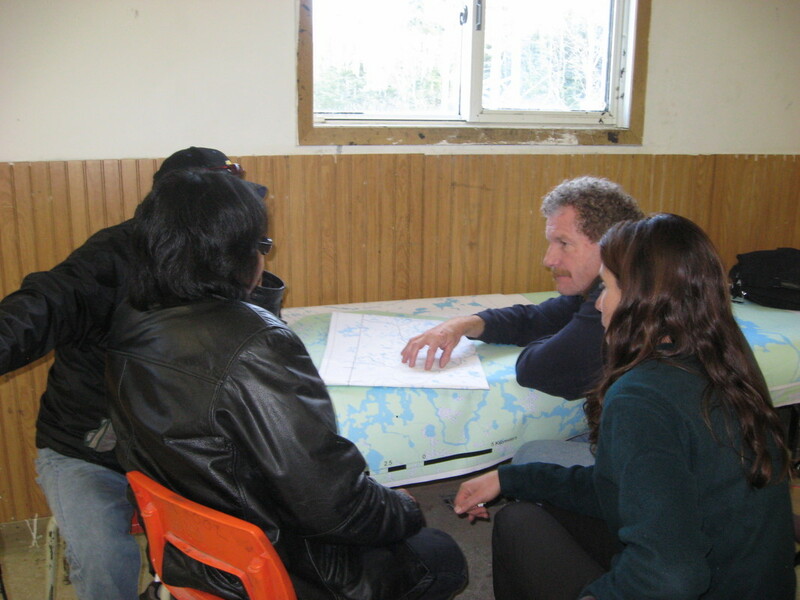 The Pimachiowin Aki World Heritage Project is another collaborative example of the First Nations and Provincial governments working together. You can learn more about the projects goals and accomplishments on their official website here. Planning in Little Grand Rapids with bush experts with knowledge of Bloodvein River. Each contributor learned to listen closely, share thoughtfully, and respect new perspectives and experiences. Some say that if you listen closely, you can hear the echoes of long ago drums beating in the Woodland Caribou Park forest from which Indigenous people have lived in for thousands of years. Indigenous culture and its teachings is an important dimension to appreciate, along with the Park's ecological and recreational dimensions. 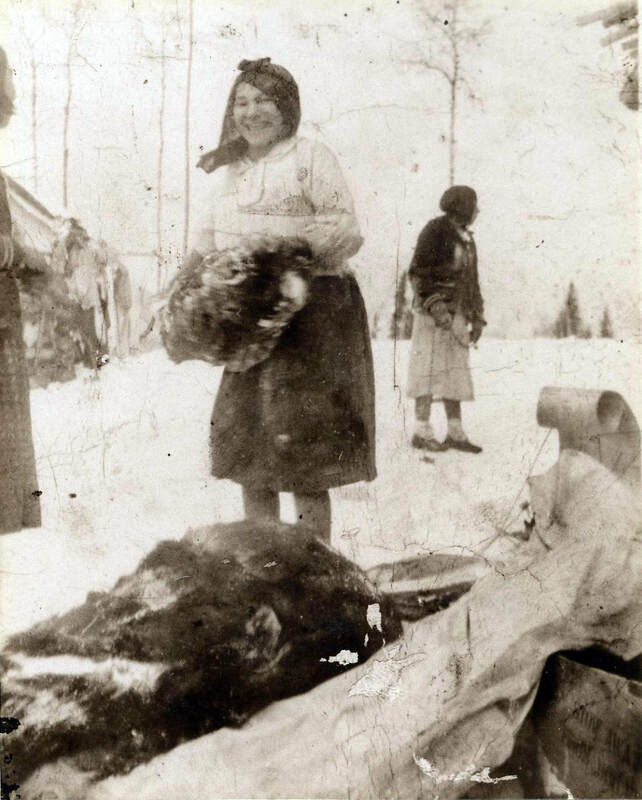 From at least 9000 years ago, Indigenous peoples were the first to develop hunting, trapping, and fishing strategies connected to the seasons. They believe all parts of Creation has a spirit to which people are related and should be treated with respect and reciprocity. Today, Indigenous people still hunt, trap, and fish in the Park. These traditional ways continue to help them maintain strong connections with the land. Winter trapping areas were traditionally used by family groups for fur bearing medium to small mammals. The Fur trade in 1779 - 1821 (Red Lake) forced a change to leg hold traps in the 1800s. Then the Canadian government (during 1950s) introduced the registered trapline system creating an inadvertent economic relationship with the land. Today, trapping is considered an important way for some indigenous people to reconnect with the land. The skin was also tanned and used for making shelters and clothing. Bones could be used to make tools and decorations. 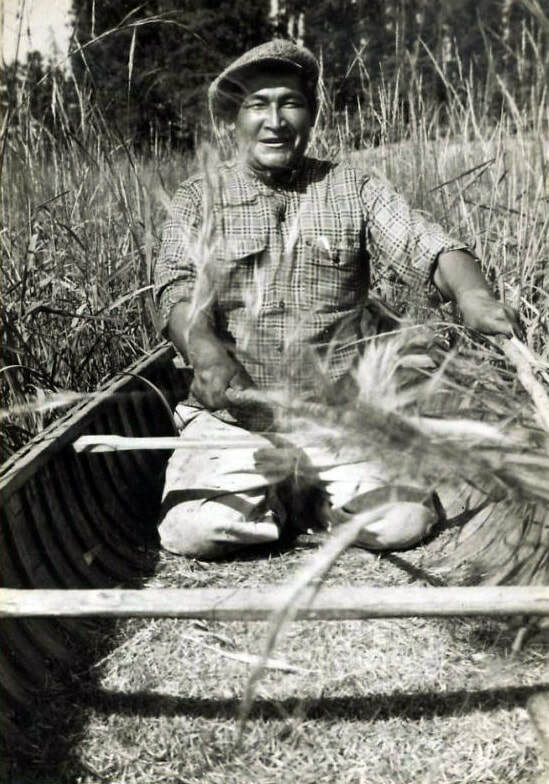 The Anishinaabe are highly skilled in using gill nets, dip nets, and spears to fish. Fish were commonly shared with friends, family. and the elders of the community. During the cold months, members would work together in order to preserve large catches. Nothing was wasted including the inedible parts of the fish which could be used to make medicine and broths. These traditions continue to be maintained today. The Bloodvein River is located just west of Red Lake. The river flows westward through the boreal forest for 306 km before emptying into Lake Winnipeg near Bloodvein First Nation. The Bloodvein River's name was said to come from blood flowing into the mouth of the River after a battle: Indigenous oral histories suggest that there was such a conflict. Others believe fur traders named it after the reddish granite that makes up rock faces along the River. There are many significant pictograph and cultural sites all along the system since the River has long been the home of Indigenous people. Some artifacts from archaeological sites along the Bloodvein River indicate that Indigenous people have lived there for at least 9000 years. Read more about the Park's Cultural Heritage at the Heritage Centre Exhibition!